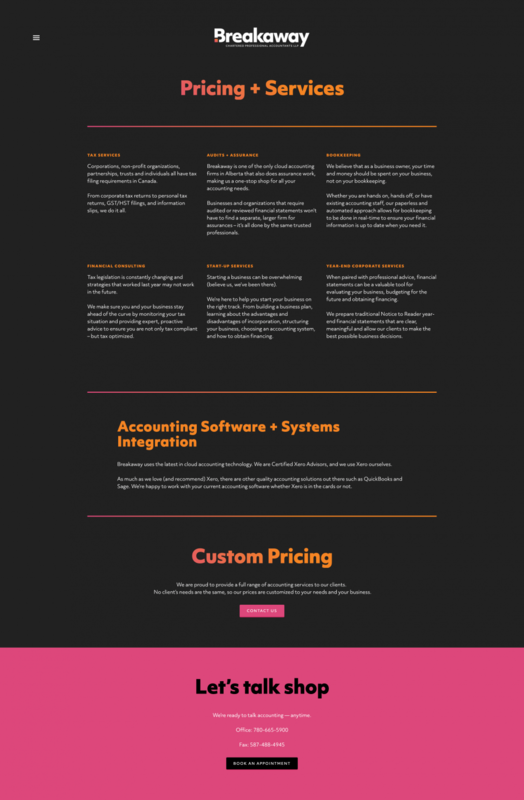 Breakaway Accountants offer modern accounting services for a digital world. They needed a brand that would promise stability and expertise, but usher in a new era of accounting that isn’t about to get struck by a comet and die. Project Summary: Breakaway needed a straightforward website that would display their services: a perfect opportunity to launch an affordable website with Squarespace. We took the logo and brand that we developed and tested the limits of Squarespace customization. The result is a totally kickass branded experience. 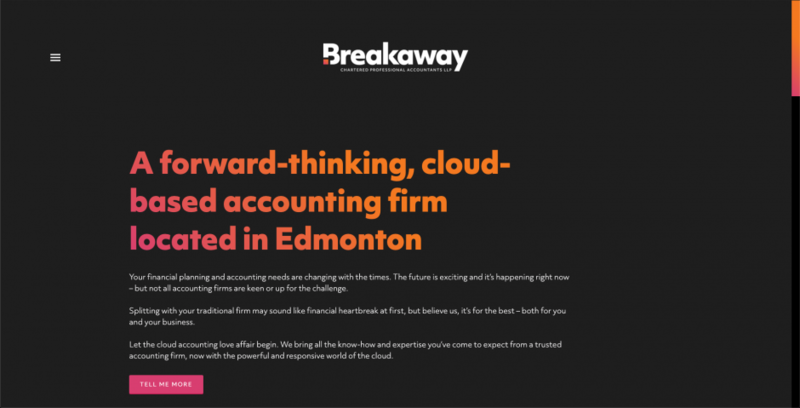 If you’re looking to modernize your accounting experience, we wholeheartedly recommend talking to the folks at Breakaway.